The Foundation was established by the Glenville Rotary Club to allow longer-term planning and fundraising to augment its charitable community service objectives. Foremost is the Foundation’s annual scholarship award to high school graduates who have exemplified the Rotary motto of “service beyond self” through extraordinary community service. At this time there are two scholarship opportunities: one for a college-bound student and one for a trade-school bound student. The Foundation was established by the Glenville Rotary Club to augment its charitable community service objectives. The Foundation manages an endowment fund with interest earned on assets disbursed through actions of an independent Board of Directors elected by the Club Membership. Foundation board members serve voluntarily and are responsible for the management of the corporation. The By-laws of the Foundation and the Certificate of Incorporation govern the actions of the Board. The Foundation is a 501 (c) 3, 509( a) 3 Type III tax exempt charitable organization fully integrated with its supported organization- the Glenville Rotary Club. Contributions to the Foundation are tax deductible. The GE Matching Gifts Program recognizes the Foundation, as do other entities such a donor advised charitable fund organizations. Many other area employers also match individual gifts to the Glenville Rotary Foundation as well. 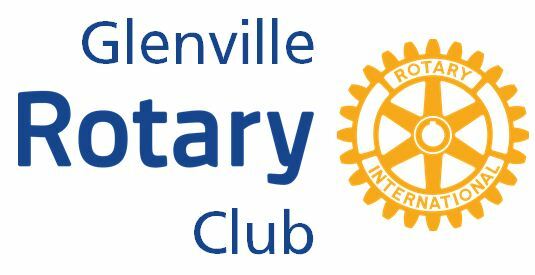 The Glenville Rotary Foundation is a NYS registered charity. Rotary Club of Glenville New York Foundation, Inc.
based on their merits according to the club’s rubric and submit a recommendation to the Club Board. The Board may either accept, modify or reject the Team’s recommendations. Applicants are encouraged to provide detailed information which is responsive to the rubric.